1 poster: paper, black and orange, 36 cm x 22 cm. 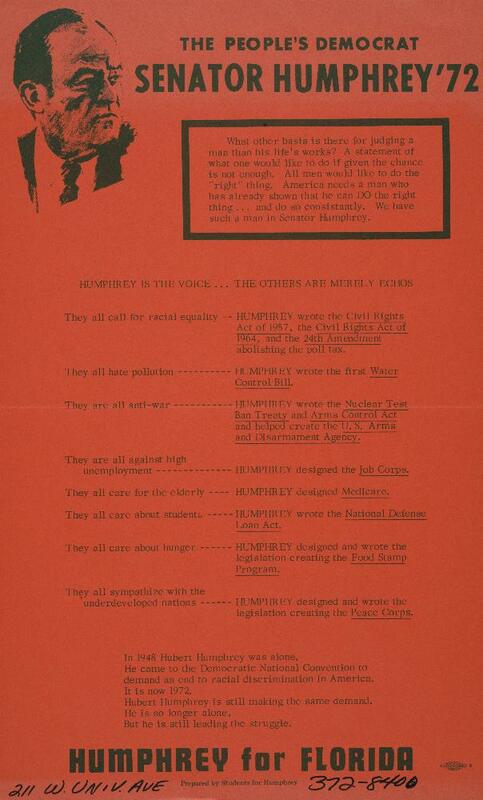 Summary: A poster with information about Hubert H. Humphrey, one of the democratic presidential candidates. A printed image of his face is to the top left. "Humphrey for Florida"